Did Delahanty Get Stuck in a Doghouse? Welcome to Delahanty Day here at PSH. This is a good one. It comes to us from the Baseball Hall of Shame 3. There is no exact date on this one, but it supposedly happened in July of 1892. The following from the book. 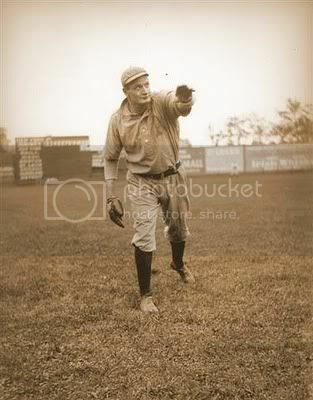 It happened at the Huntington Grounds, where Philadelphia was playing host to Chicago. 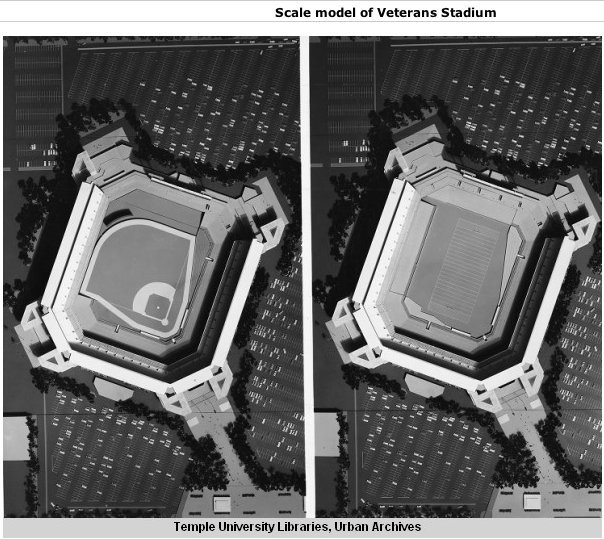 That stadium had one unique characteristic-a “doghouse”. It was a tiny structure with an oval topped doorway that made it look like it had been built for man’s best friend. The doghouse was situated at the base of the flagpole in right field and was used to store numbers for the scoreboard. “From the grandstand, all that was visible was the rear elevation of his country seat,” wrote W.N. Pringle, a spectator whose account of the incredible incident was published 16 years later. “His heels were kicking in the air in a lively manner in his frantic efforts to extricate himself. 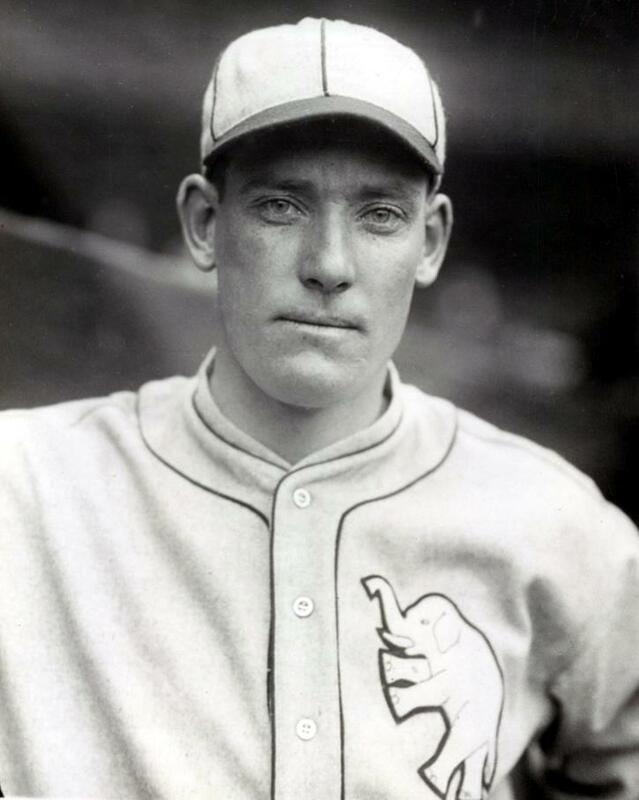 By the time teammate Sam Thompson helped Delahanty out of the doghouse, 3 runs had scored and the Cubs had taken a 4-2 lead. At least, that’s what the book (and presumably Mr. Pringle) would have us believe. However, the Phils won all their home games against the Cubs in 1892, with the Cubs never scoring 4 or more runs in Philly. And I can’t find any other mention of the story online. Is Big Ed getting a bum rap in an embarrassing story? As of press time, I have been unable to contact Mr. Pringle or anyone else who was at that game. 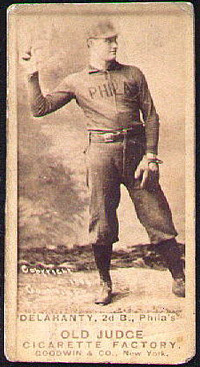 If you know any Phillies fans from the 1890s, have them get a hold of me. Sometimes, I come across something so insane, so ridiculous, that I have to find a way to tie to Philadelphia, no matter how tentative the connection. This is one of those times. 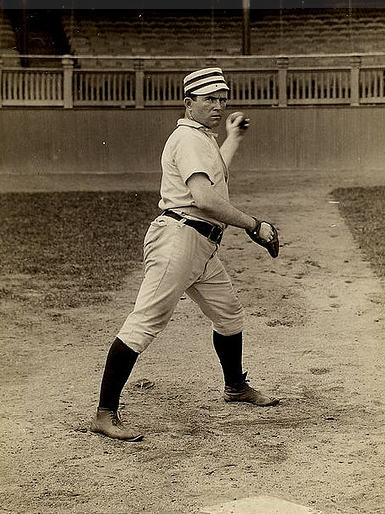 Mike Grady was born in Kennett Square, and started his career for the Phillies, so there’s your connection. But it was a couple of things he did while a member of the Giants that makes this story worth writing. 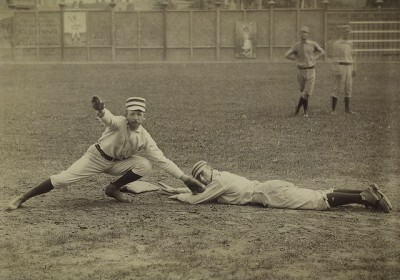 In 1899, Grady had a ground ball hit to him while playing third base. He bobbled it, committing error number one. He then scooped it up and threw it to first, sailing it over the first baseman’s head. Error #2. The right fielder chased it down, and noticed the runner taking off for third. He threw it to Grady. The ball bounced off his glove and headed to the outfield. The runner broke for home. 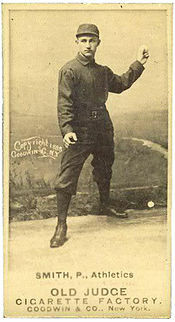 Grady ran, grabbed the ball, and still had a shot at glory, if he could just nail the runner at the plate. He could not. 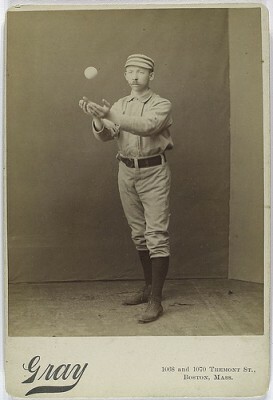 The ball went sailing over the catchers glove, giving poor Mike Grady 4 errors in one play. However, the Chester County native would go from goat to hero less than a year later. 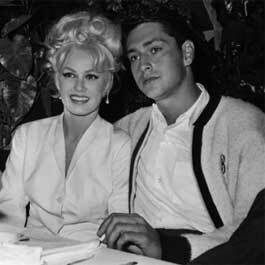 He was walking to the Polo Grounds with teammates Kid Gleason (who would later manage the Black Sox) and George Davis. They saw smoke and flames rising from an apartment building. Davis scurried up a fire escape and rescued a woman from the 3rd floor. Gleason and Grady ran up to the 4th floor, rescuing a Mrs. Tibbets and her 3 year old. Grady then ran back up to the 3rd floor and helped to rescue a Mrs. Pease. 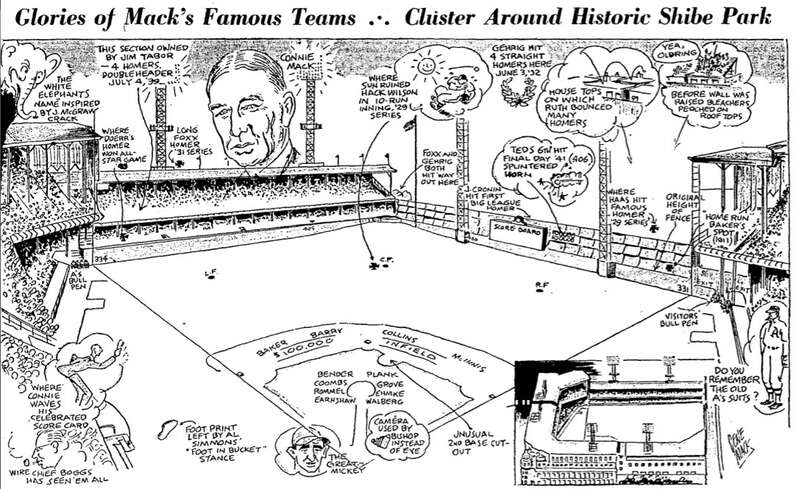 The three players then made their way to the ballpark, where they tied the Boston Beaneaters 10-10. In September of that year, Grady and Davis were both involved in what is believed to be the first triple steal in MLB history. 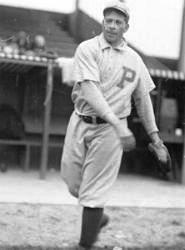 Grady retired to Kennett Square, where he passed away in 1943 at age 73. 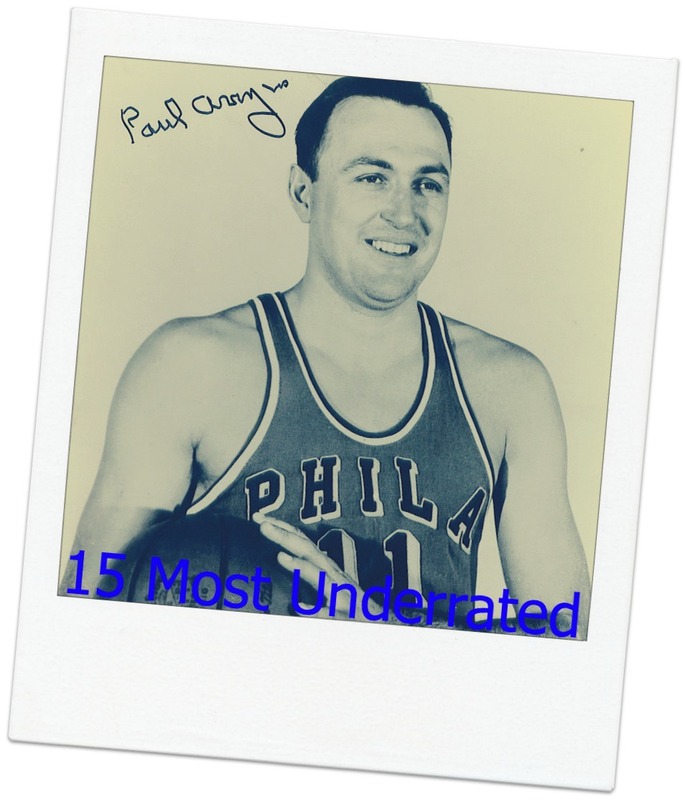 He is in the Chester County Hall of Fame. 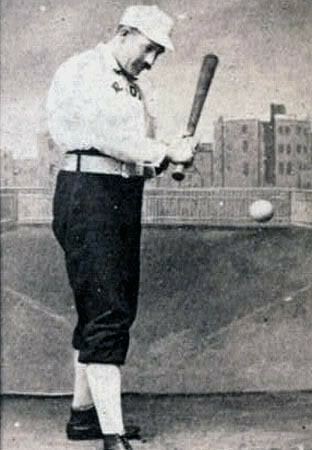 A pic of birthday boy Dan Brouthers who would be turning 153 today. 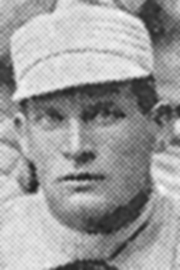 Brouthers played for a remarkable 10 different teams in his career, including the 1896 season with the Phillies. 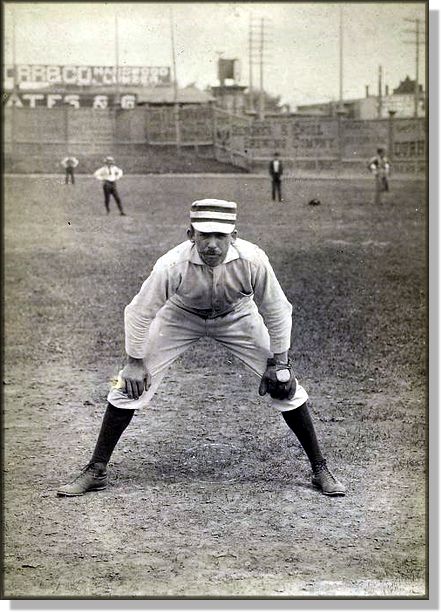 Brouthers was a 19th century giant, standing all of 6’2″ and weighing over 200 pounds, and once killed a catcher named Johnny Quigley by running over him. He retired after his season in Philly, and his .342 career batting average ranks him 9th all time in MLB history, remarkable since it seems he used a tiny little bat (above). 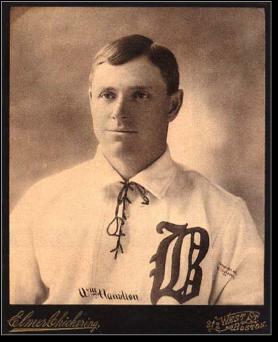 April 21, 1898 was a heady day for Bill Duggleby. 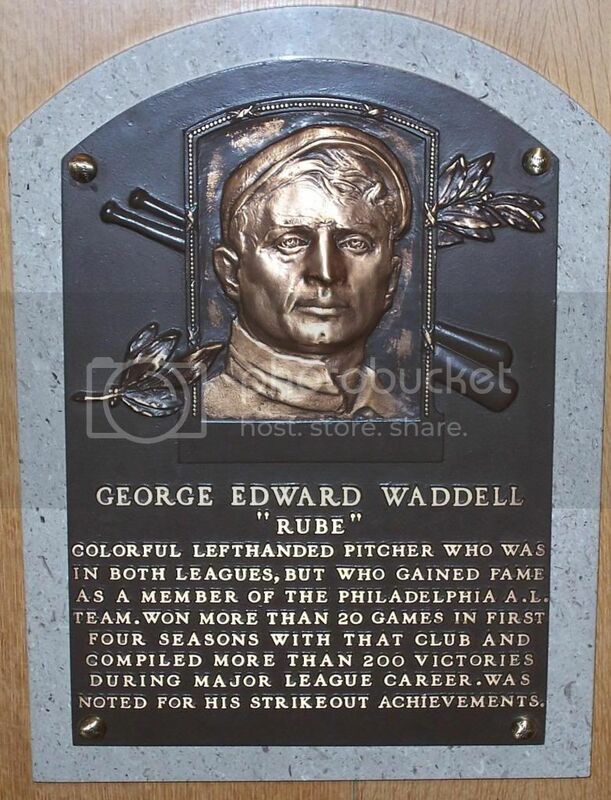 He was taking the mound for his first ever start in the Major Leagues. Furthermore, when he stepped up to the plate for his first career at bat, the bases were juiced. 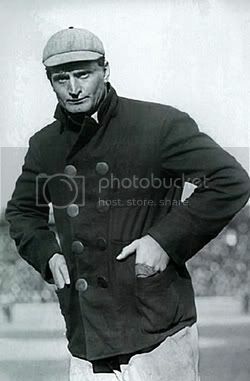 “Frosty” Bill, as he would come to be known for his lack of desire to make friends on the team and the fact that he wore a black suit even in summer, gave the pitch a good swing and-CRACK-sent it hurtling into the stratosphere. The Phils pitcher circled the bases and entered into the record books. He was the first player to ever hit a grand slam in his first ever career at-bat. No-one would do it again for 107 years, when Jeremy Hermida did it in his first at bat in 2005. The next year, Kevin Kouzmanoff would do it, and incredibly, in 2010 Daniel Nava would do it. After no-one had done it in 107 years, 3 guys did it in 5 years. Baseball, as they say, is a funny game. What made it more remarkable was that Duggleby didn’t turn out to be much of a slugger. In his next 648 career at bats, he hit 5 home runs. Only 5 Phillies since Duggleby have homered in their first at bats. 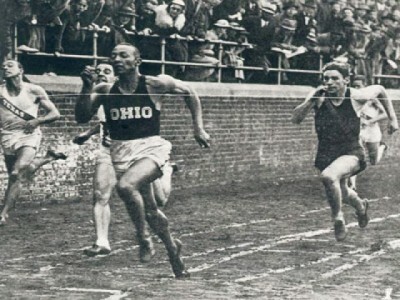 They are Ace Parker, Heinie Mueller, Ed Sanicki, Ricky Jordan, and Marlon Anderson.